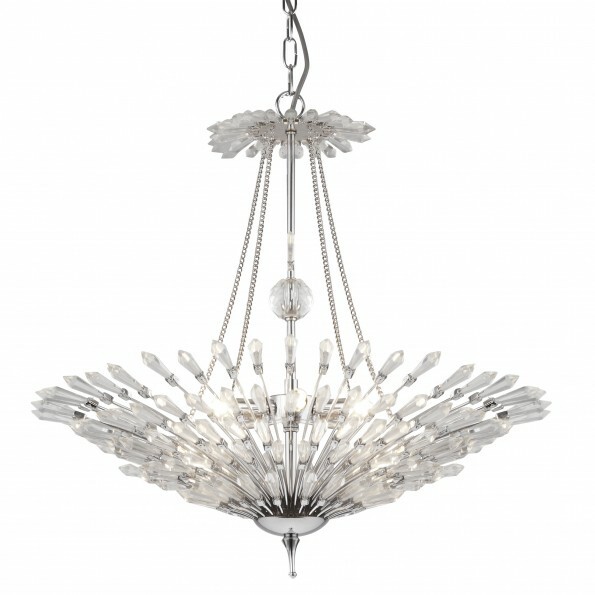 Cast an impressive display with this stunning ceiling pendant. 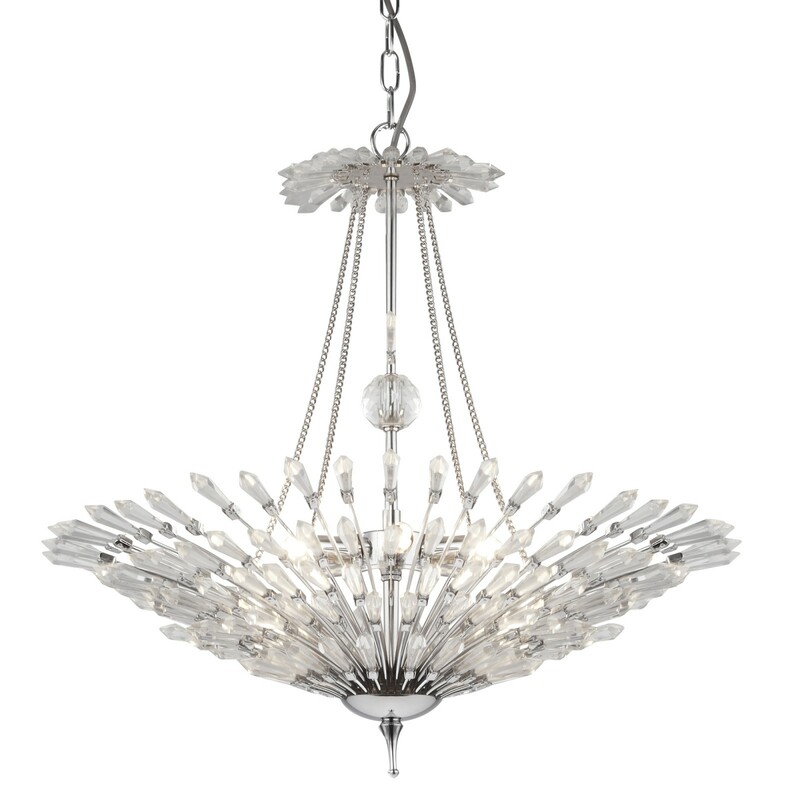 The item exudes a luxury feel; starting with clear glass and then chrome chains proceed to 6 lights surrounded by beautiful light reflecting glass detailing. 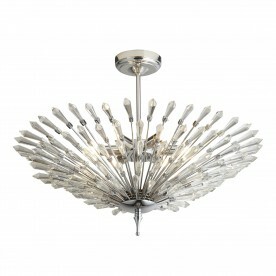 Perfect for use as a centrepiece in your living room.